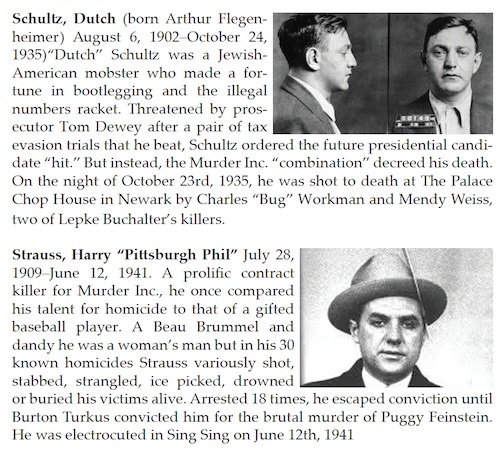 The following mugshots are the arrest photos of the gangsters who ran Murder Incorporated. 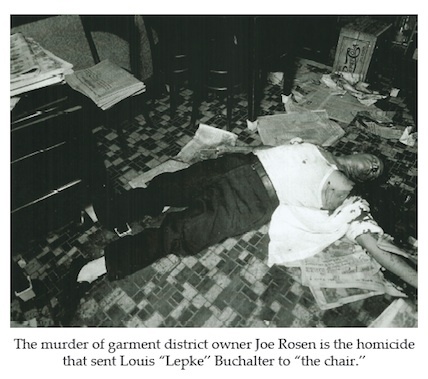 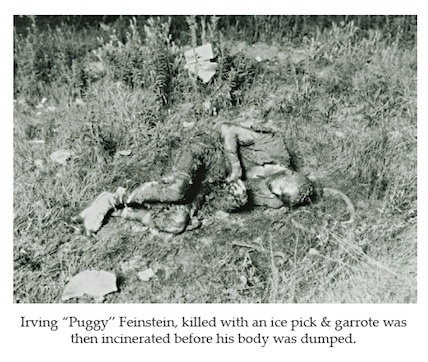 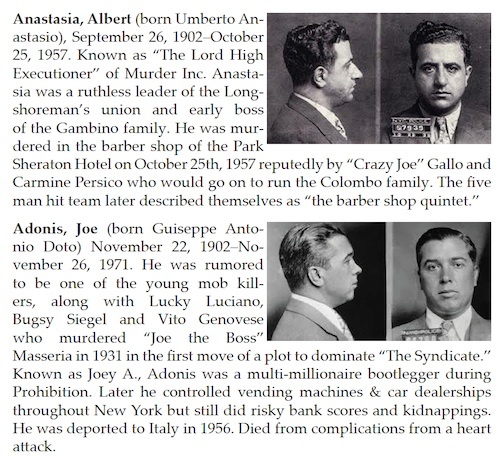 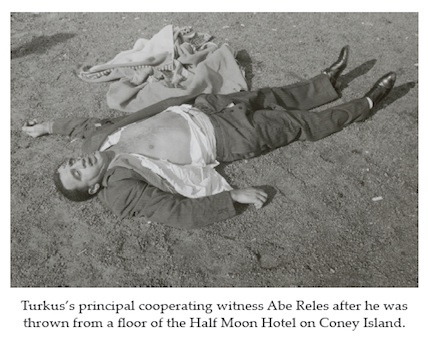 Below them are a series of crime scene photos of various Murder, Inc. victims including Abe Reles, one of The Syndicate’s principal killers who became a cooperating witness for prosecutor Burton B. Turkus. 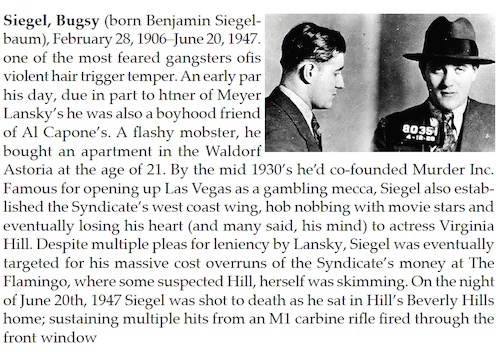 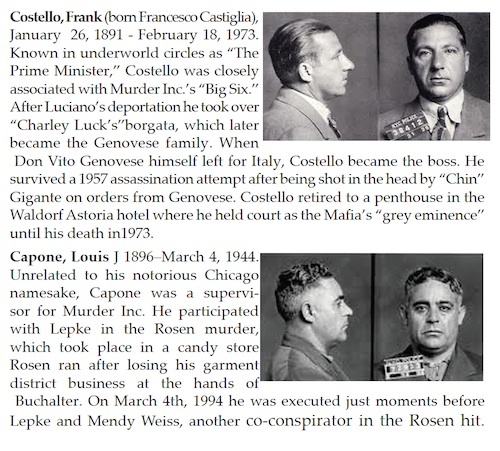 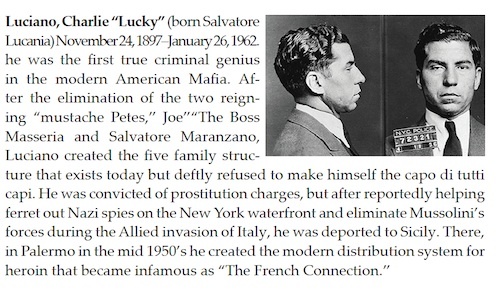 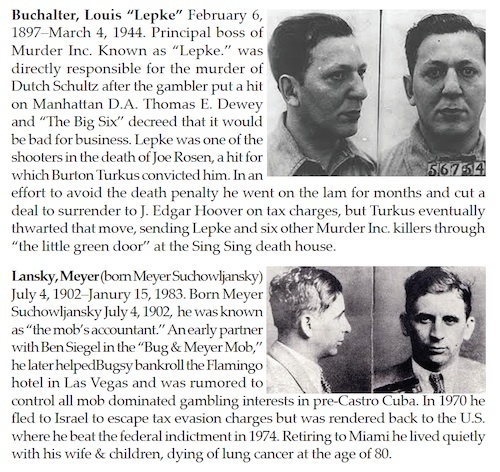 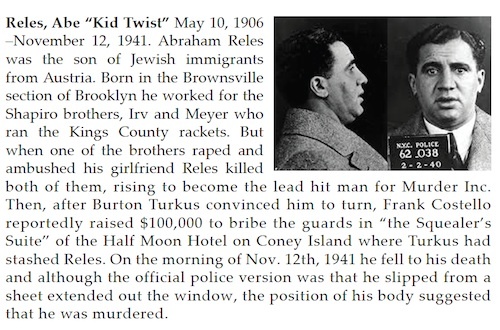 After he was stashed in “The Squealer’s Suite” on the top floor of The Half Moon Hotel on Coney Island, Reles was found dead on the eve of trial. 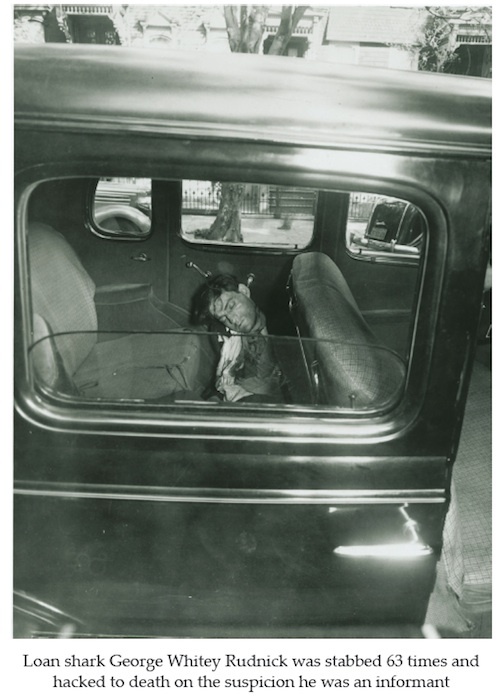 The “official” story was that he had slipped while trying to escape, but his body was found on a roof yards away from the edge of the hotel suggesting that he had been murdered.